Nothing too formal. Nothing too “together.” Nothing that looked stiff and modern. Something romantic. Something ethereal. Something timeless. That’s what I envisioned for our wedding flowers. 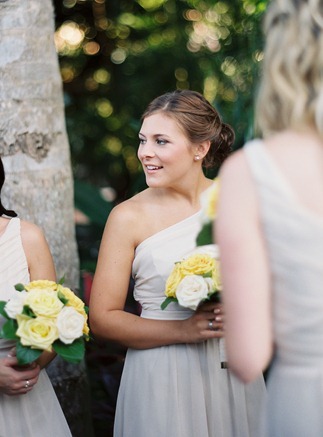 When I discussed the colors I wanted for our wedding with Ryan, I told him I saw a wedding full of creamy whites, soft yellows, ivory and champagne. He said he wanted bright colors! I assured him that color would come through in the details. I showed him pictures of the inspiration behind our wedding and that helped him see my vision. Ryan and I worked with Terry, the owner of Carter’s Florist in St. Petersburg to brainstorm ideas for my bouquet, my bridesmaids’ bouquets, ceremony and reception flowers. I wanted my bouquet to have an undone elegance to it. A field-flower appearance with soft colors and a romantic feel. The mix of white lilies with full roses, beautiful field flowers and the perfect amount of green foliage helped create the bouquet of my dreams. 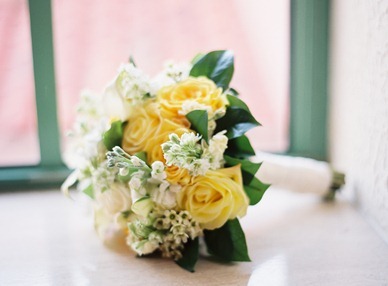 For my bridesmaids’ bouquets, we left out the lilies and field flowers and created beautiful bouquets full of white, yellow and goldstrike roses. 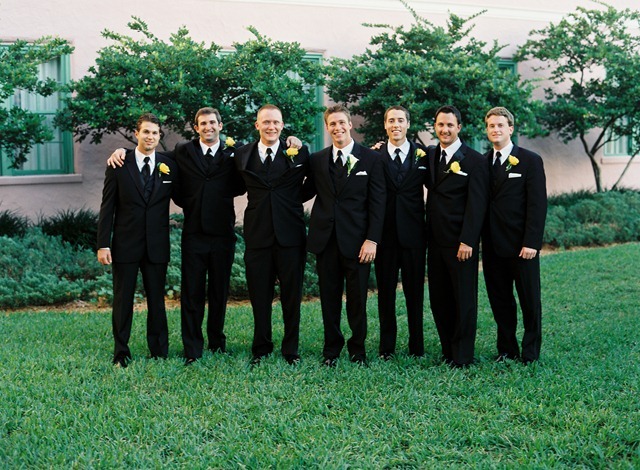 The groomsmen wore gorgeous, full goldstrike rose boutonnieres while Ryan wore a creamy white lily. 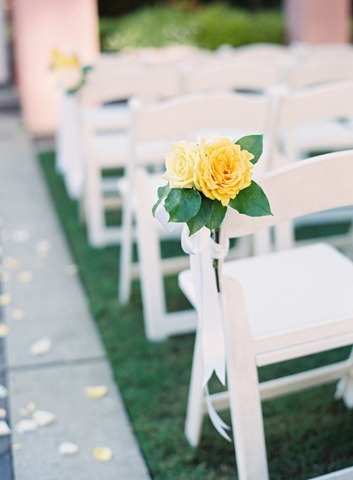 On the end of the chairs lining the aisle of our ceremony, we had a cream, soft yellow and goldstrike rose tied to together with a white satin ribbon. The aisle itself was lined with a sprinkling of rose petals. The combination of cream, soft yellow and goldstrike roses appeared again inside square, gold boxes as the centerpieces on the guests’ tables in the ballroom where our reception took place. All of the guests’ tables featured the centerpieces along with rose petals, glass candle votives and a framed sign detailing the table name. Our guests sat at tables of 8 to 10, while we had one, long feast table for the bridal party and their dates. Seeing my bridesmaids hold their bouquets against their dresses was the moment that I realized our vision for our wedding day actually worked. absolutely gorgeous!!! i love all of the centerpieces. it’s certainly timeless and simple. 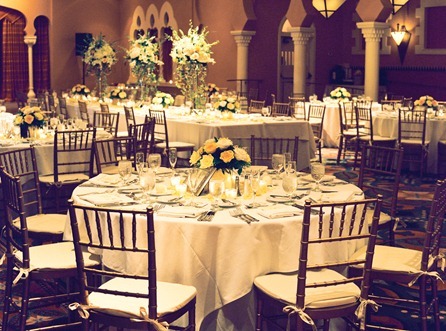 i also like the idea of a feast table better than a sweetheart table for the bride and groom. 🙂 did you and ryan consider having a sweethearts table? we talked about it, but really wanted to be surrounded by our bridal party. when our venue told us about the feast table idea, we were sold! 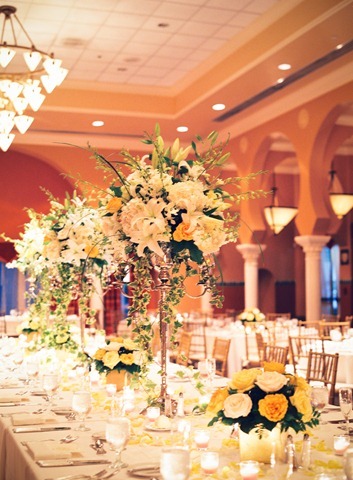 I love the tall arrangements- they’re gorgeous!! And your bouquet really does look so full and romantic…like something I’d envision for a Victorian summer wedding. Beautiful! 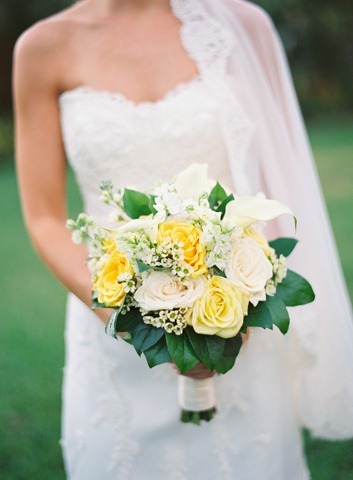 So gorgeous…I love that its such a timeless and traditional bouquet and arrangement. The whole thing was such a beautiful vision. So beautiful! 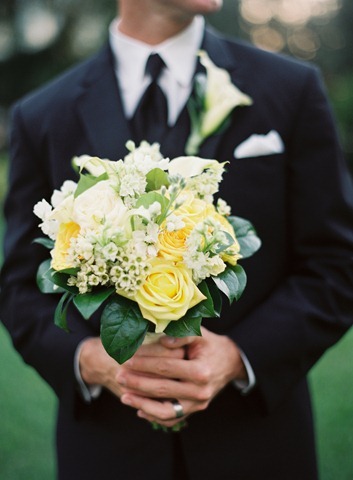 I love the colors you chose and how you incorporated some bright touches into the flowers. Beautiful. Cant wait for more recaps! Gosh, your wedding was so beautiful! I’m really enjoying your updates. Absolutely gorgeous. I love your bouquet and the combo of muted tones and bursts of color, and I think I am obsessed with the tall arrangements. I did something similar for my wedding (but with soft and hot pinks) but yours looked SO beautiful!!!!!! I bet you were so happy with how all of your flowers turned out 🙂 Great planning and vision on your part! 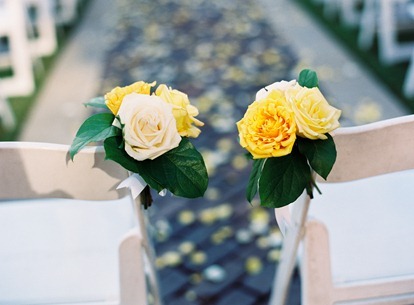 Yellow flowers are so beautiful! Perfect color for a wedding! I am totally obsessed with your flowers. 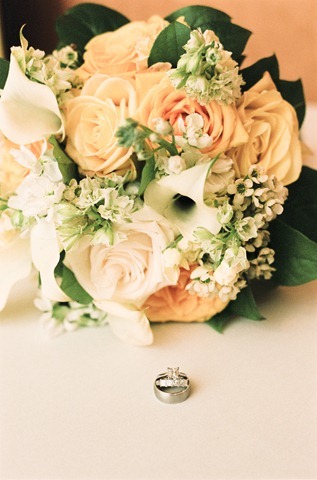 If there was one aspect of your wedding that I absolutely fell in love with, it was the flowers. They are perfect. An understated elegance that stands on its own. Divine. What beautiful flower arrangements!!!!!!!!! I love the colors!!!! i didn’t do a ton of flowers because of cost, but yours are absolutely stunning…your vision is perfect! 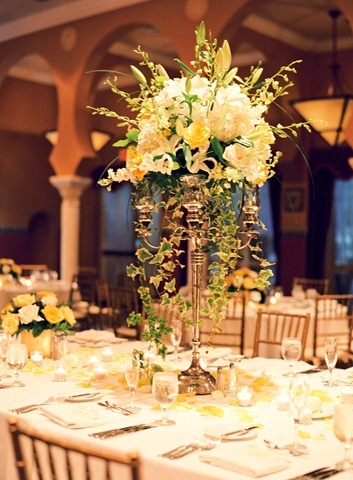 I love the tall centerpieces! They’re the perfect accent to the reception hall. Everything looks gorgeous! Your flowers were beautiful! 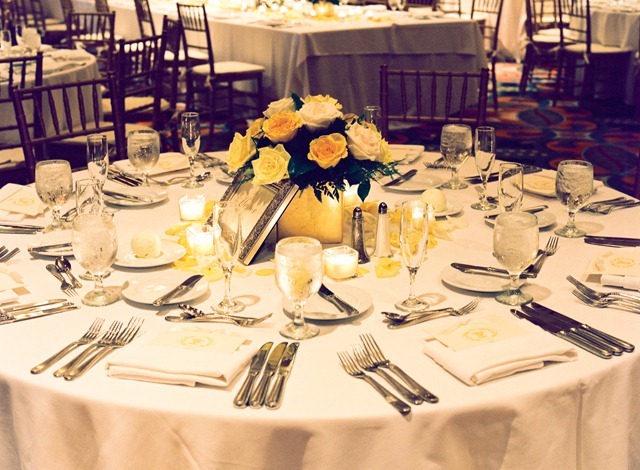 I love the centerpieces and how everything just flowed together! 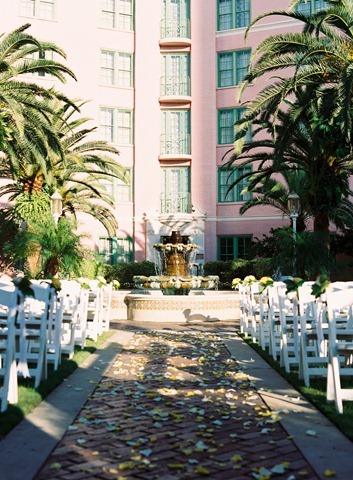 What a goregous wedding! Your wedding was just absolutely stunning! Love the flowers and the colors…so elegant! Beyond beautiful! I have a question: What did you do with all the flowers? Your apartment must be loaded with them and smell amazing! Did you dry them, or give them away as gifts to the people that came? we actually took a bunch of them to my parents’ house that night because they hostes a day-after-the-wedding brunch! they looked beautiful the next day lining the walkway to my parents’ house and as centerpieces on the tables. Pretty! Makes me think about my own wedding. My flowers were made by my mom’s best friend and our centerpieces were things I picked up at Wal-Mart, but still fun! Wow, those reception photos are beautiful! Your photographer was great.